Summer is upon us! The only issue is how to make the very best of the summer months in the Czech Republic. For me, there is absolutely no better way to pass a hot sunny day than spending it in, on or by the water. For more information about some of Prague’s best natural swimming spots, be sure to check out this article. However, if you are willing to travel a relatively short distance outside of Prague and you are looking for something a bit more active, keep on reading. 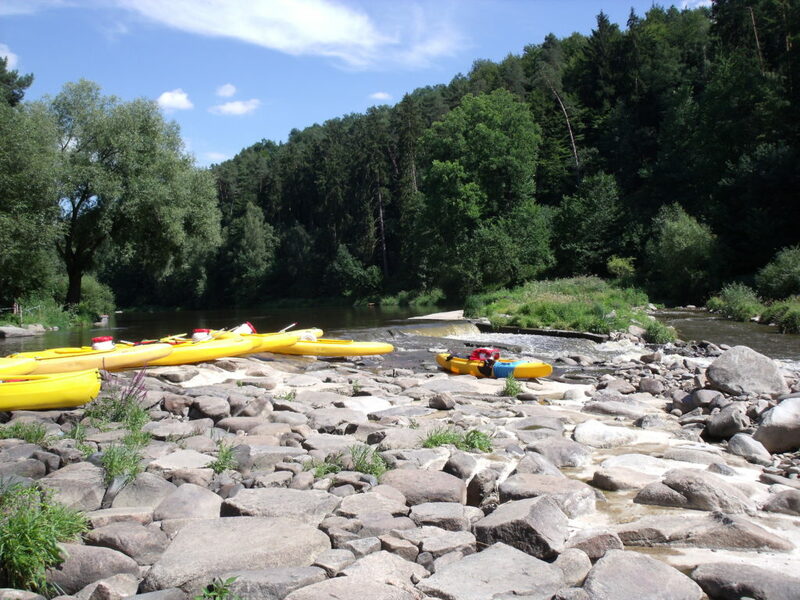 Rafting, kayaking and canoeing are all very popular pastimes amongst Czech people. Before moving to the Czech Republic, I had only even held an oar a couple of times in my whole life but 6 years later, I’ve definitely been converted and summer just wouldn’t be summer without a couple of day trips out on the water. On board a raft, kayak or canoe, you will have the opportunity to escape from the city and experience some gorgeous Czech countryside, spend a relaxed and peaceful yet fun-filled day with friends or family, get a little bit of exercise and enjoy a truly memorable adventure. First of all they offer fantastic value for money. 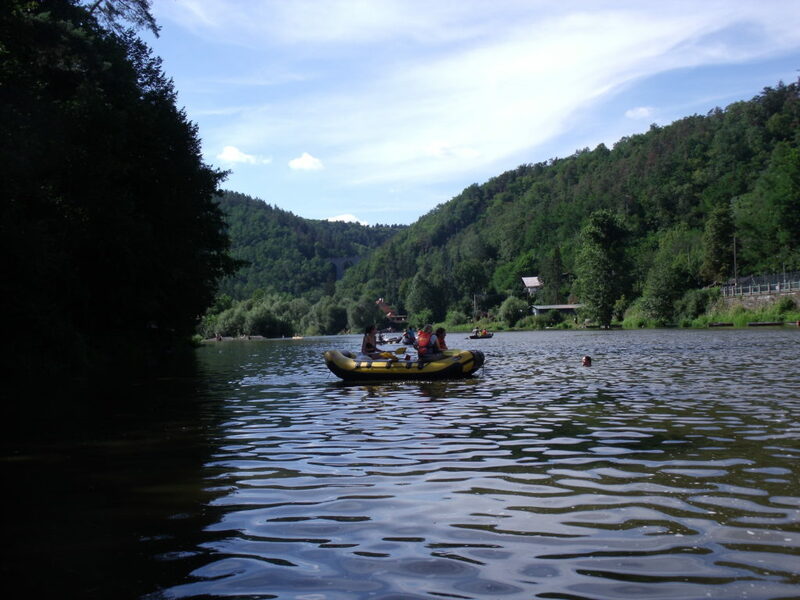 Yesterday, we were able to hire 2 5 person inflatable rafts for just 1900CZK, the price included oars, waterproof barrels for your valuables, life vests and even transport of the rafts back to the rental centre from the end point. The second reason that I love Bisport is the friendly service and also the convenience. They do all of the organisation for you, all that is left for you to do is to turn up. It’s possible to reserve your boats online, but so long as you arrive before around 11am, it’s usually not even necessary to reserve and you can be on the water within 15 minutes of arriving at the centre. Bisport actually offer a few different trips of differing lengths and difficulty and they have a few different centres in different parts of the country. This article is just going to be focusing on one specific route from their rental centre at Tynec Nad Sazavou to Pikovice. The reason for this is that I have made this trip a few times, so can personally recommend it. 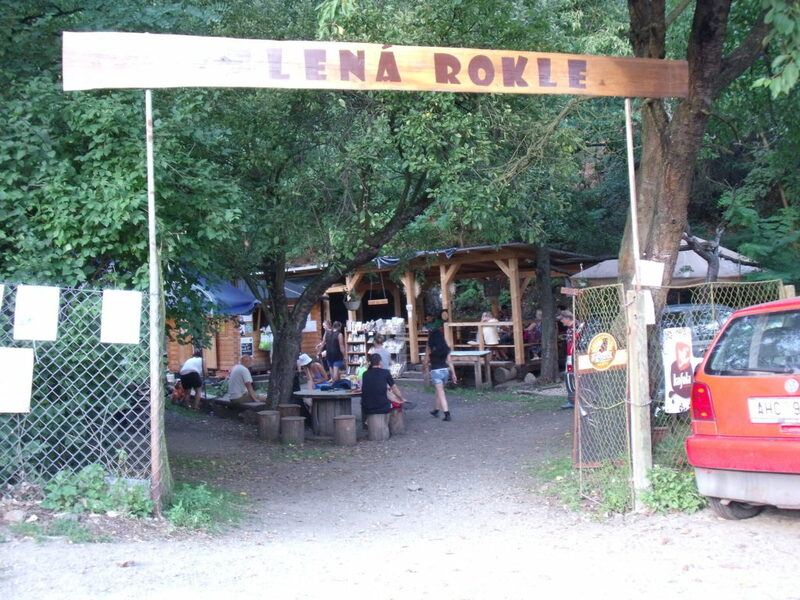 It is also VERY easily accessible from Prague and the length of the route is just perfect for a nice, comfortable day trip from the city. 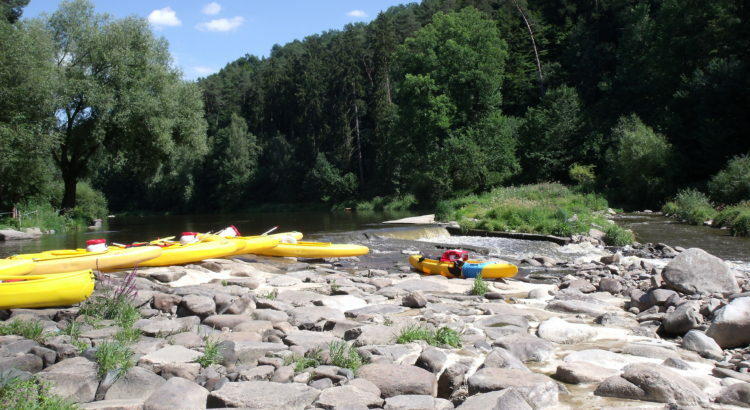 The route will take you down the Sazava River, through stunning and dramatic countryside. One of the best things about this route is that it is really varied in terms of the water conditions. There are long stretches of calm, flat water, where it is possible just to sit back and drift. 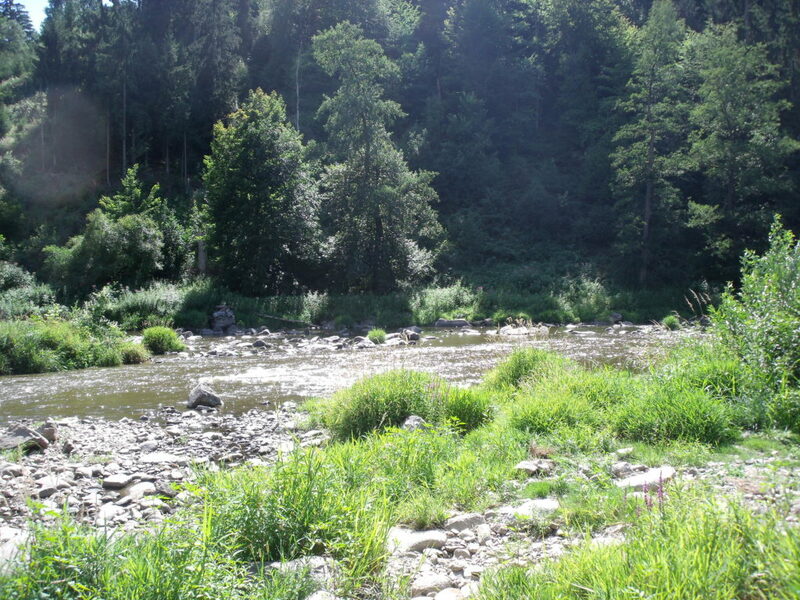 At a couple of points, we were able to leave our raft and take a swim in the river. However, this by no means tells the whole story. There were also some really fun stretches, where the water was fast and bouncy. It certainly wasn’t white water but the rapids were choppy enough to get the adrenaline pumping (it wasn’t really possible to take pictures during these sections, so you will have to take my word for it!). Before setting out, you will be given a waterproof map, which marks the location of several weirs that are to be found along the route. If you’re feeling daring, it’s perfectly possible to navigate these in any raft, kayak or canoe providing the water level is high enough. However, the map will always give advice on the safest way to get over or around the weir and it’s often possible to get out of the river and walk around the weir if you’d prefer not to tackle it. How about a pit stop? Your waterproof map will also give you the locations of several pubs and restaurants that are to be found along the route. I particularly recommend the dubiously named “Guantanamo Bay”, which offers Czech beer and food at great prices. There is a grill cooking up fresh BBQed treats and plenty of outdoor seating looking out over the river (all of the seating is in fact outdoor, as this place is more like a food truck than a restaurant but it’s certainly the most popular stop off point along the route). Direct trains leave regularly from Hlavni Nadrazi (Prague’s main train station). The journey is around 1hr 30mins. 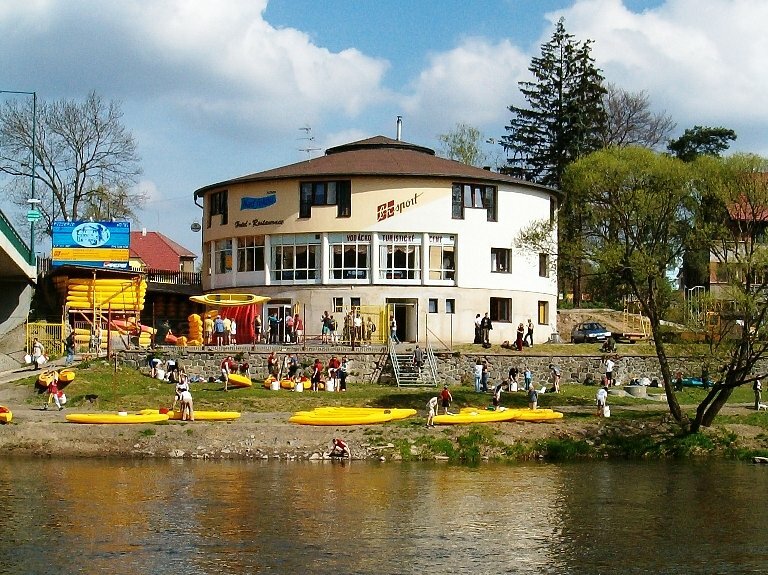 Once you have arrived at Tynec Nad Sazavou, Bisport is only a 2 minute walk from the train station. The total distance is 16km (the amount of time this will take you really depends on how many stops you take and how much energy you put into the rowing. Yesterday, it took us around 6 hours but this was at a leisurely pace and includes a long stop for lunch). How do I get back to Prague? Once you have arrived at Pikovice and have handed back your boats, you may have the feeling that you have stranded yourself the middle of nowhere. Pikovice feels like nothing more than a field. Don’t worry, Petrov u Prahy train station is only a 2 minute walk away. Just cross the bridge over the river and take the footpath up the hill. From here there are direct trains back to Prague (the journey is only around 1hr 20mins). The trains come about every hour during the evenings but don’t worry if you end up with a long wait, because you will find this charming little outdoor bar/cafe right on the platform. It’s the perfect spot to unwind and relax after a hard day on the water. Is the route suitable for beginners? Yes. However, if you have never been in a kayak/raft/canoe before, it is well worth sharing a boat with somebody who has! Skautsky Institut: What do You Think about this View and Beers for just 35 CZK?